Zack D.Wheat passed away on this date in 1972 at the age of 83. A heck of a ball player. Batted left, threw right. Seems like he was initially known for his fielding skills, and developed as a hitter. Led the league in hitting only once, 1918, at .335. In both 1923 and ’24 he hit .375, and then hit .359 in 1925 at age 37. Played in the 1916 and 1920 World Series, losses to Boston and Cleveland. He finished up with 2884 hits in his major league career. Looking at the Dodgers career statistics leaders, Wheat is still tops in games played, plate appearances, hits, singles, doubles, triples, total bases,runs created, times on base, and hit-by-pitch. He’s number 3 in RBIs, behind Duke Snider and Gil Hodges. Number 2 in runs scored, behind Pee Wee Reese, and number 2 in extra base hits, behind the Duke. Yep, one heck of a ball player. 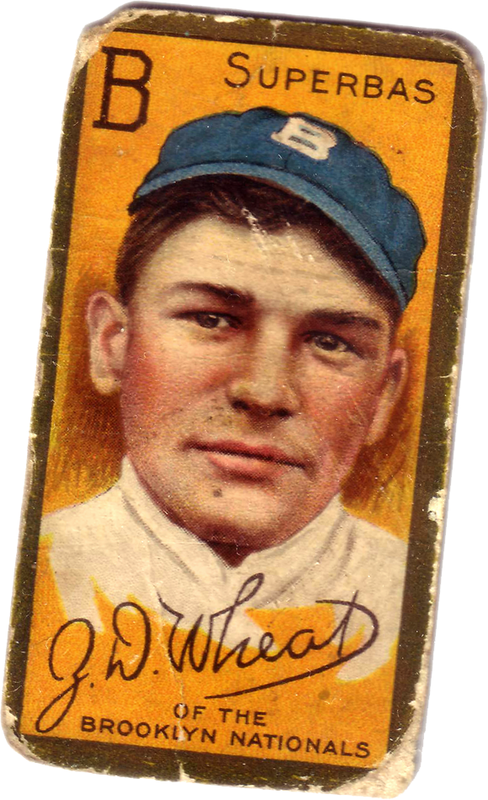 Wheat started playing ball in 1906 for Enterprise, and played for Wichita, Shreveport, and Mobile in the minors. 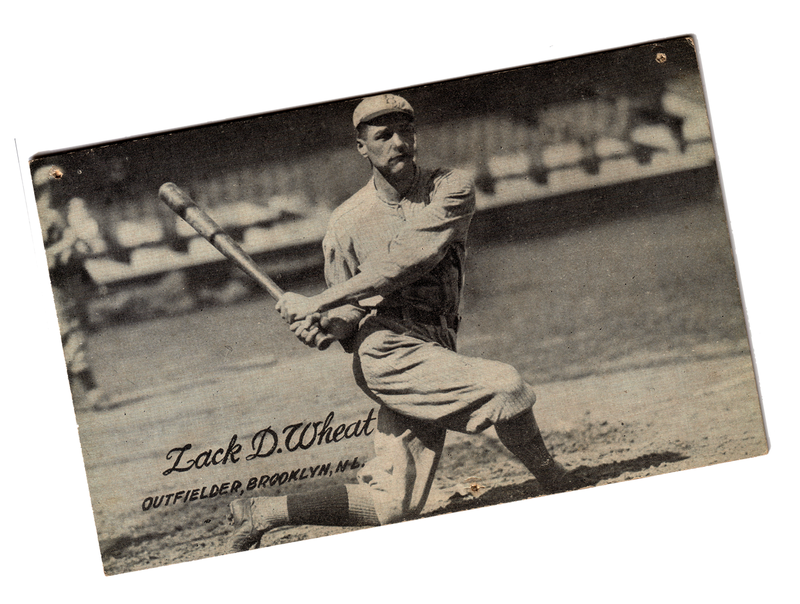 In 1909 Wheat signed with the Brooklyn Superbas, and played with them and the Brooklyn Robins til 1926. He played in ’27 with the A’s, then in 1928 he played for the Minneapolis Millers in the American Association, where he hit .309 in 82 games. An injury to his heel ended his season and career. After baseball he went back to his farm. He always went back to his farm in the off-season, and always maintained that he would happily farm if his baseball contract fell short of what he felt he deserved. He lost his farm in the Great Depression, operated a bowling alley for a bit, and then became a police officer. After almost losing his life in a car accident during a police chase in 1936, Wheat spent five months in the hospital recuperating, then moved down to Sunrise Beach, Missouri, where he opened up a hunting and fishing resort. 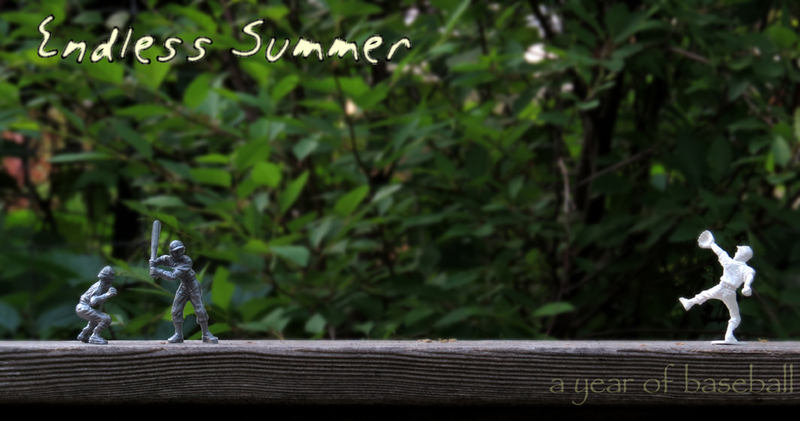 He lived there for the rest of his days. It looks like beautiful country. That card up on top is a 1921 exhibits card. What a classic shot. I wonder who the photographer was?